At our birthday parties, it is all about the swag. I have SO MUCH fun putting together party favors for all the kids. They get so excited about taking stuff home and will often cherish the items long after the party. I can’t tell you how many moms have told me that their kid refuses to wear anything but their birthday party t-shirt for a week after the party. It makes me so happy! 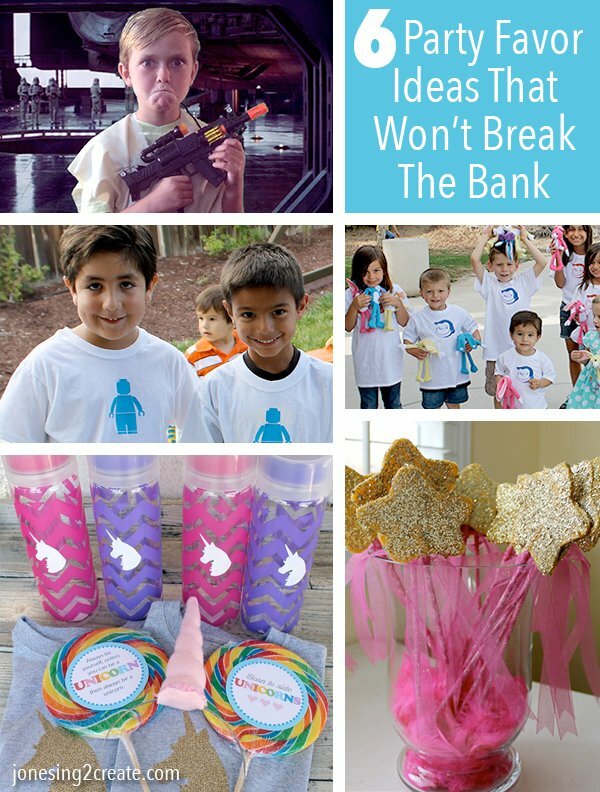 So I have put together a few of my favorite party favor ideas for kids, along with a few tips! I hate spending lots of time on something that is disposable, so I always try to pick party favors that will last and that the kids can use over and over again at home. But I have learned that quality party favors don’t need to be time-consuming or expensive. In fact, one of the most time-consuming party favors I ever made was also the least impressive. 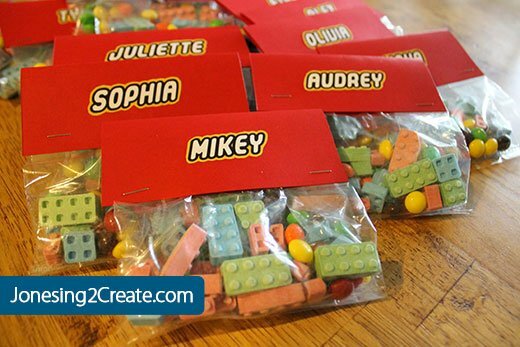 I spent forever making little Lego candy party favor bags. The kids liked them, but they didn’t have the impact they should have for the time I spent on them. So skip the candy and trinkets and use the money instead for a couple of quality, high-impact items. The best party favors are the ones that last long after the party. Custom T-shirts: These are a favorite at our parties. After the party, the kids wear the t-shirts over and over again. And they are especially handy during “twin day” at school. We have done a t-shirt for just about every party we have ever planned. I buy a pack of white Hanes t-shirts from Wal-Mart, slap on an iron-on vinyl decal, and the t-shirts only cost $2 to make. 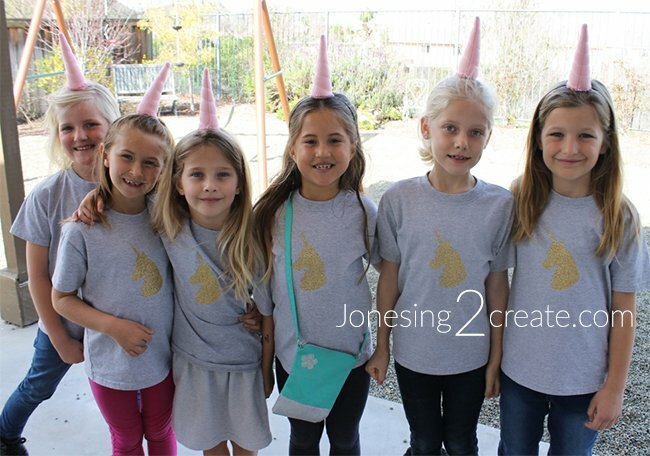 On the blog, I have a bunch of free Silhouette files for making your own t-shirts, whether you are doing a Pinkalicious, Lego, Curious George, ice cream truck, Harry Potter, Rainbow Unicorn, or Minecraft party. Learn more about how to make your own t-shirts using vinyl and other methods. Stuffed Animals: Kids are suckers for stuffed animals and they don’t have to be expensive. 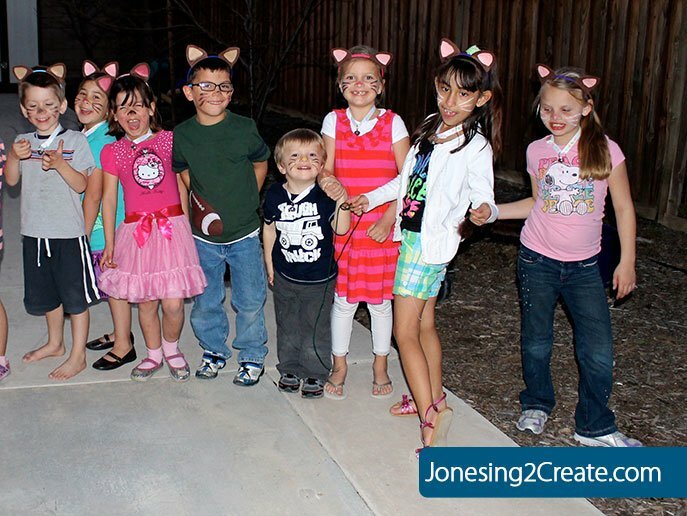 If you are planning a cat or dog party, it is fun to let the kids “adopt” a stuffed animal or you can work it into the theme another way. For my daughter’s Curious George Party, each of the kids got to find a baby bunny just like Curious George does in the book. The kids had fun looking for the bunnies and I was able to buy them from Amazon for about $1 each. You can also find stuffed animals at dollar stores or on Oriental Trading. I hate spending time and money on decorations that I know I will throw away later. So I like to plan decorations or activities that can also be used as party favors. That way I am killing two birds with one stone! 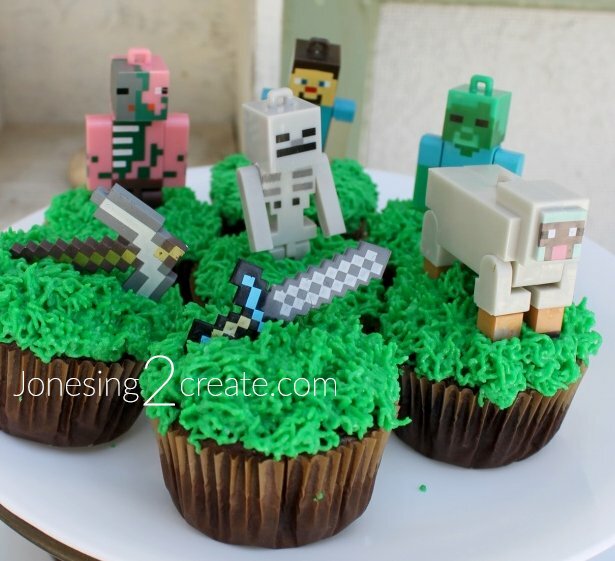 Minecraft Cupcake Toppers: These made cupcake decorating easy and the kids later used the figures as toys! Balloons on a stick: These are especially fun for little kids. 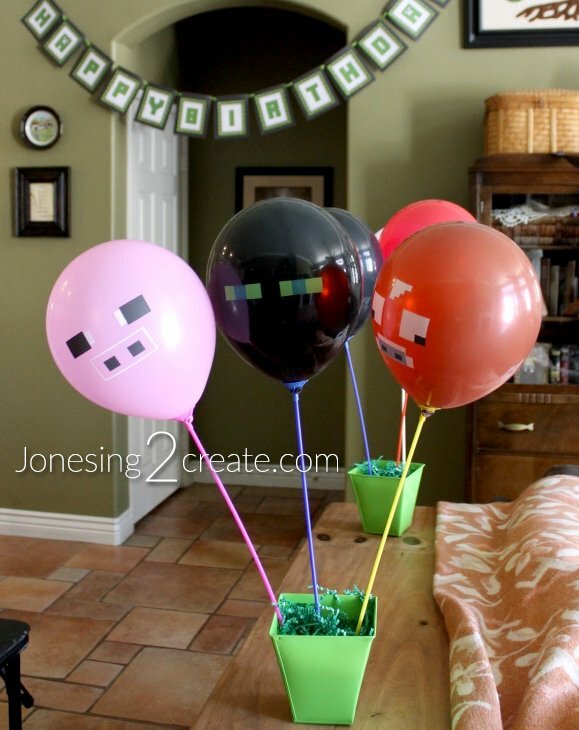 They look great in balloon bouquets and the kids love taking them home. Large Lollipops: I get these are the 99 Cent Store and they are every child’s dream. 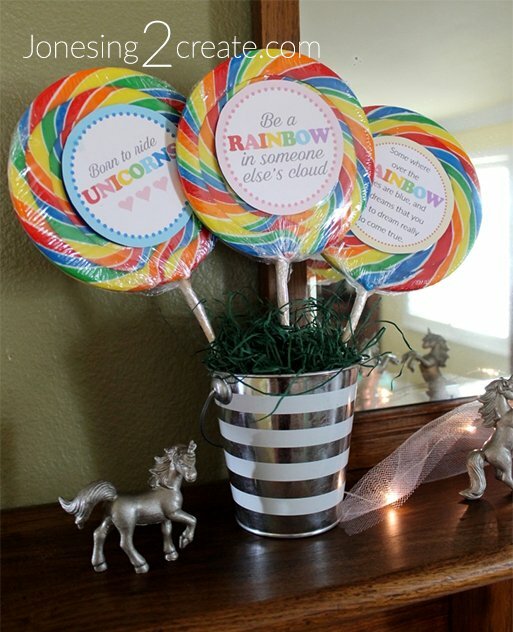 I like to make lollipop bouquets with them and add clever sayings. At the end of the party, I let the kids pick one. 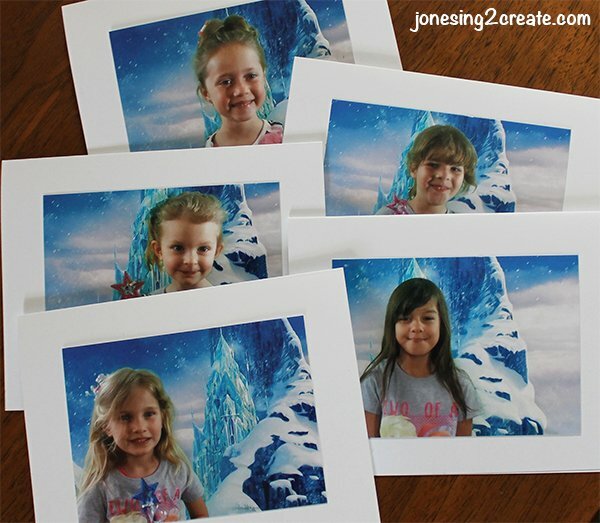 Green Screen: This one doubles as a super fun activity. The kids have fun acting out the parts in the movie and I get wonderful photos that I then use later for thank you cards. It is a wonderful memento of the party and easier to do than you would think. I can’t tell you how much I have thrown away after a party. Unless you are hosting teenagers, food is usually ignored at kid parties. Kids are having too much fun running around at a party to eat. Kids are notorious for filling their plates, then leaving most of the food untouched. It doesn’t help that most kids are picky eaters and food allergies doesn’t make it any easier. A few years ago, we dramatically cut the amount of food we provide at a party. Instead we plan the party to avoid meal times and we focus more on having fun than eating. I have never had a kid complain about a lack of food and I also found that I had more time to play with the kids instead of being stuck in the kitchen. The food I do provide is usually fast and easy snack food. Food is one of the most time-consuming and most expensive parts of a party. Food is a major part of the party prep, so cutting back has saved me a ton of time. And I have been able to invest the money I save in party favors! Some of my best ideas have come while browsing the aisles of our local dollar store. You would be surprised at what you can find there and what you can make work for your party. When buying multiple items, I have also found some great deals on Amazon. 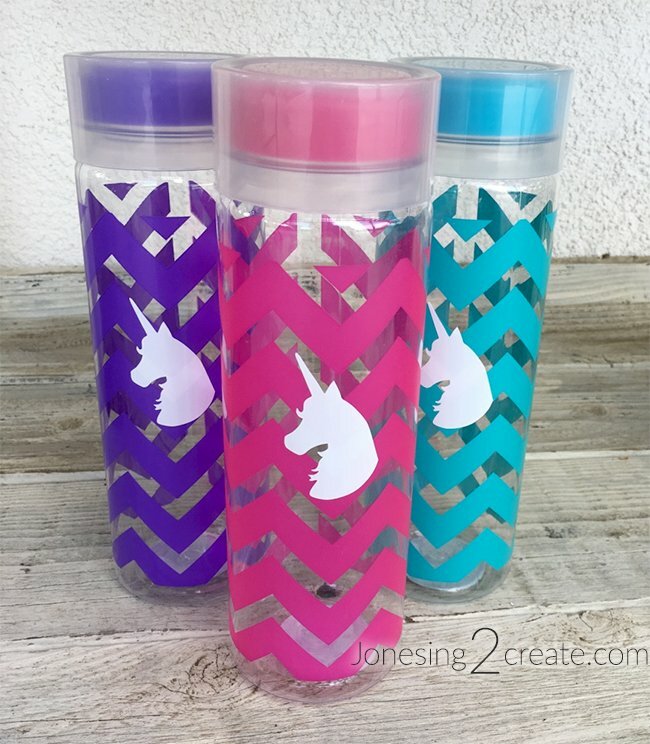 Custom Water Bottles: Water bottles also do double duty by cutting back on the number of cups and disposable water bottles that we go through at the party. They are a huge hit! 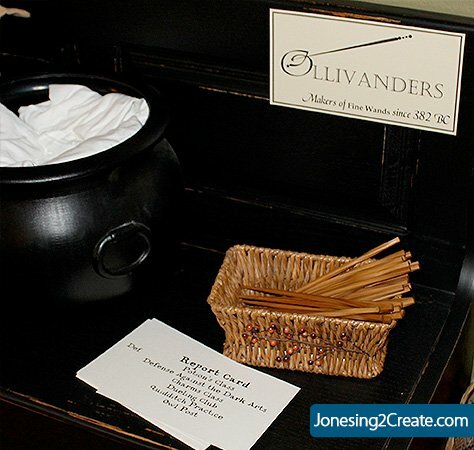 A Note on Customizing: Over the years, I have learned to be careful about customizing party favors. It can add a lot of time to the prep, trying to get everybody’s name right and making sure that nobody is left out. It also makes it really hard if somebody decides to come last minute. So instead of customizing these bottles ahead of time with the kids’ names, I just had vinyl letters available so that I could let the kids pick which color of water bottle and then I stuck the first letter of their name on the bottle. If two kids had a name that started with the same letter, I just made sure I stuck the letter in a different spot on the bottle. It was enough that they didn’t get the bottles mixed up and I didn’t have to go through the hassle of adding all the names. Chopstick magic wands: I was able to buy these magic wands for 50 cents each by using cool looking chopsticks! 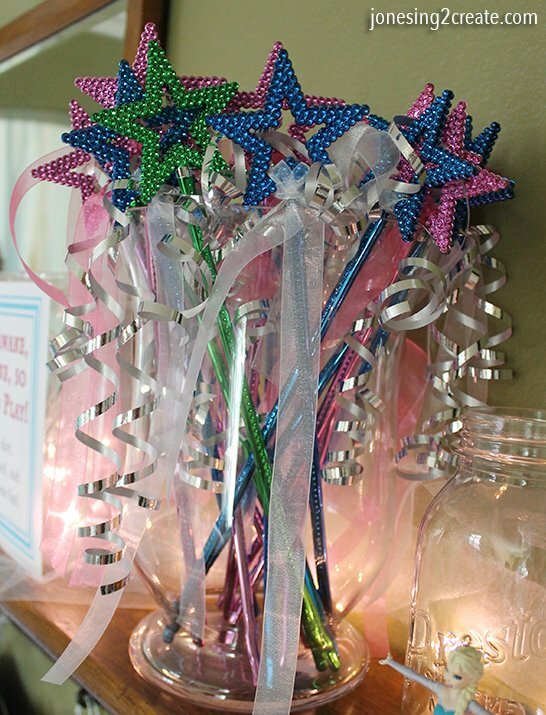 Star Wands: For this party, I didn’t have time to make homemade wands, but I found some really cheap ones on Amazon. I added a bell and some ribbon and they looked great! If you are crafty, it can be easy to make something memorable for very little money. I am a craft supply hoarder, so often I am able to throw together things with stuff I already have at home. Just be careful of time sinks. When looking for ideas, be realistic about how much time each one will take and if you are willing to spend the time on it. Even if you aren’t crafty, lots of the ideas below require very little expertise. 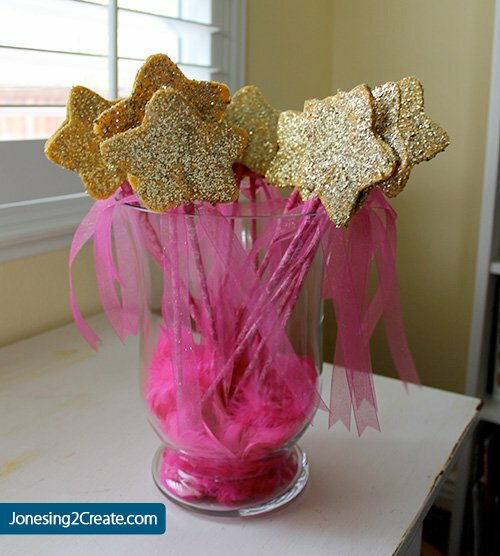 Princess Wand Tutorial: I originally wanted to do these with wood, but discovered that making the star tips out of felt I already had at home would be cheaper and easier. Cat Ears, Tails, and Collars With Bells: I made the ears using felt and headbands and the tails with feather boas. Even though this was years ago, my Ladybug still plays with her cat party favors. Army Headbands: Headbands are so easy. You just cut out the strips of fabric! Jedi Robes, Light Sabers, and Padawan Braids: Using a sheet, I was able to make these cheap and easy. The Padawan braids came from a hair weave! Frozen Elsa Cape: By using tulle and gathering it, I was able to do these for cheap and without having to hem anything. Minecraft Mining Blocks: These are one of my favorite party favors. 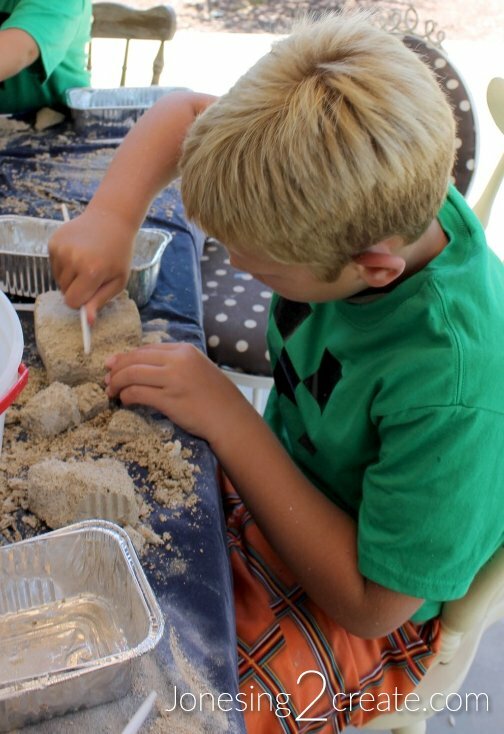 The kids had fun digging “precious stones” out of the blocks and then taking them home. These cost about $10 if you buy them online, but I was able to do them for about $3 each. 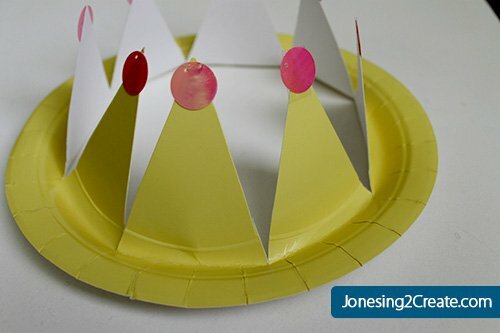 If you are cheap and lazy, have the kids make their own party favors! 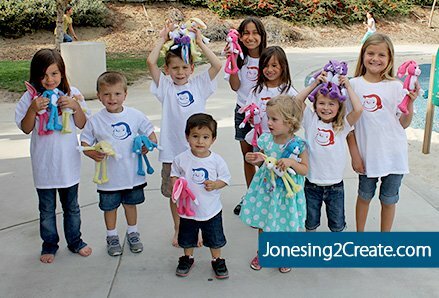 Girls especially love to craft at parties and they will enjoy making their own creations. 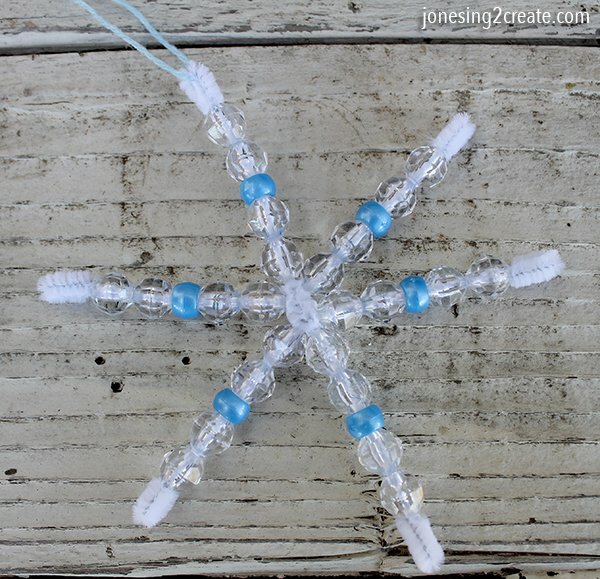 Pipecleaner Snow Flakes: These are quick and so easy, even for little hands.